Normally when we introduce new features for HANA, it is only done via a new release version (HANA 1.0 or 2.0) or an SPS – Support Package Stack (ex. HANA 2.0 SPS 0, SPS 01, SPS 02, SPS 03). 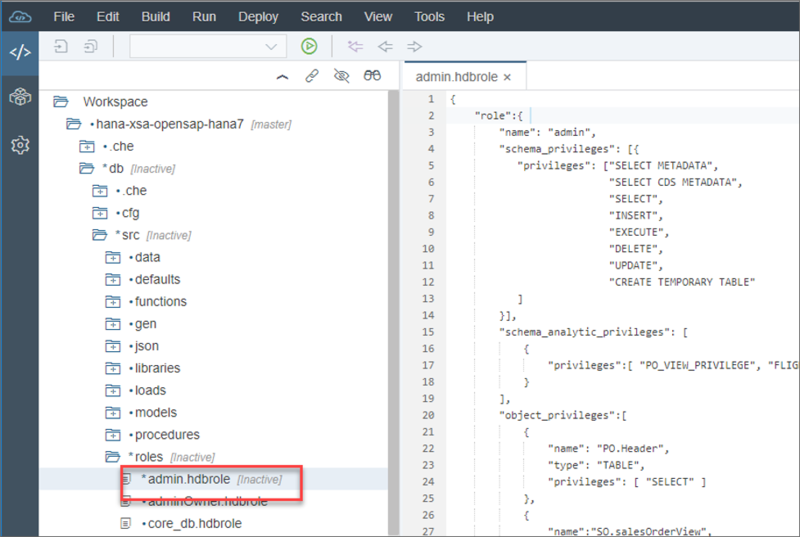 However the XSA runtime and the SAP Web IDE for SAP HANA actually have a rather independent technical infrastructure from the HANA DB itself. Up to this point we’ve never used this feature to deliver new features separate from a HANA release or SPS. But it was always possible. With HANA platform itself moving to just one SPS a year, we saw a need and an opportunity to update XSA and the SAP Web IDE for SAP HANA without having to wait until the next SPS of HANA itself. 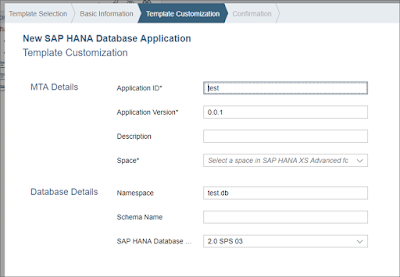 Therefore the HANA 2.0 SPS 03 Feature Revision 1 for XSA and the SAP Web IDE for SAP HANA was born. The latest patch level of XSA Runtime (1.0.97) and SAP Web IDE for SAP HANA (4.3.57) which were released this week contain far more than the regular revision patches. Normally a revision patch only contains bug, security, or performance fixes. However for XSA and the SAP Web IDE for SAP HANA, this patch contains major new features. 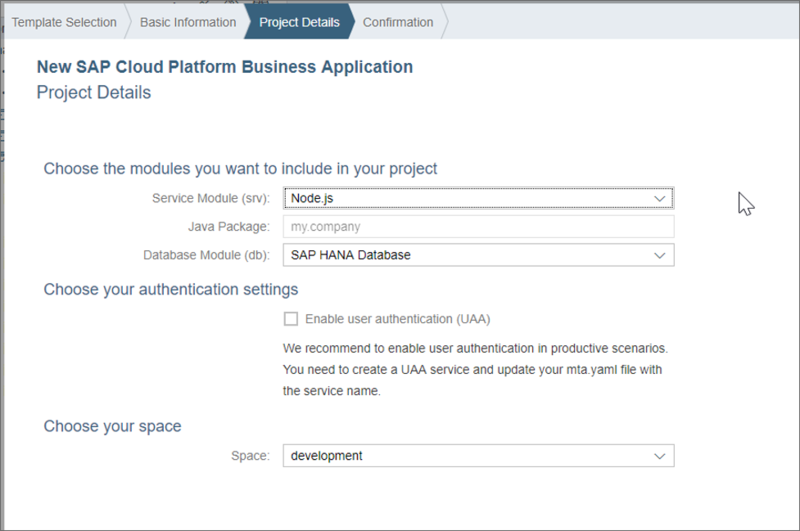 In order to access these new features you only need to update XSA and the SAP Web IDE for SAP HANA. It does not require a HANA Platform/database update. In fact because both XSA and the SAP Web IDE for SAP HANA are backwards compatible, these new features can be updated on any supported HANA release/SPS – even all the way back to HANA 1.0 SPS 12. We’ve heard from years from customers and partners that they want new technical features, particularly for developers and admins, but don’t want to disrupt the business by going through major HANA updates. This is exactly what we are able to deliver here. 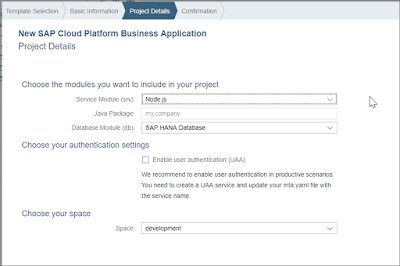 Don’t let the name fool you, the Application Programming Model for SAP Cloud Platform is now available for SAP HANA on premise via XSA and the SAP Web IDE for SAP HANA as well. 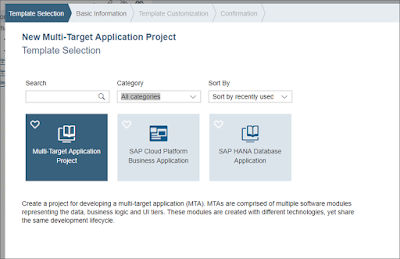 For much more on this new Application Programming Model and especially how it can be used in the HANA Native development scenario, be sure to check out the upcoming openSAP course. We now have new database artifact dialog. Previously, there were only a few artifact types listed in the “New” menu option for database artifacts, like we had procedures and functions. But there were a lot of HDI based artfiacts that were missing and we always had to do a “New” -> “File” and give the name of the file and its associated file extension. This was very error prone when having to type out the file extensions, especially for very long ones like .hdbstructuredprivilege. Typos lead to ambiguous error messages and just waste a lot of time. This new dialog simplifies things by allowing you to choose your artifacts from a list, and all of the DB artifacts are now available. 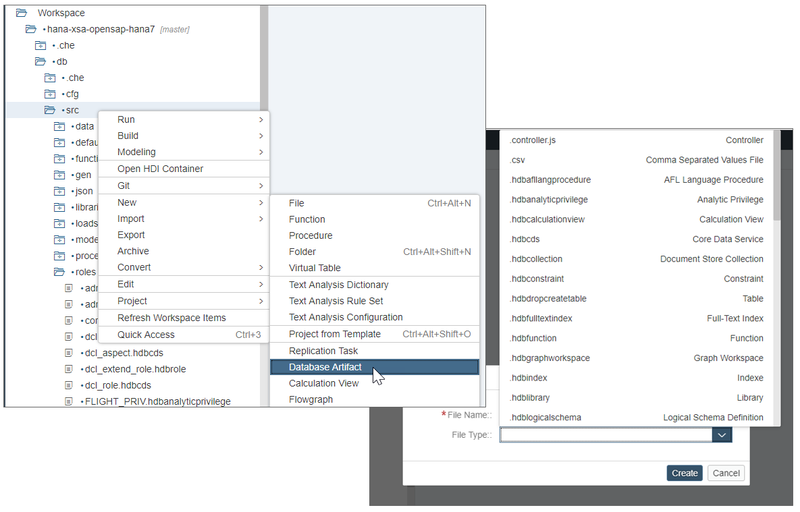 Developers can now create multiple workspaces with different configurations in each workspace. This is primarily useful when interacting with multiple git branches. Sometimes you need to make changes in two or more branches at the same time. For instance, when you need to make complex cherry picked fixes in multiple development or feature branches. Before we could only have a single git repository/branch open at one time. Now we can use separate workspace to work on different branches of the same project in parallel. The new resource manager is a new view in the bottom-right corner of the Web IDE which displays all of the service resources defined in our project. You can also see the service instances names and more importantly, you can delete the service instances from here as well. Many customers asked for this feature because they were concerned by how many old containers developers were creating and then abandoning. Admins could use the Cockpit or command line to clean up these container instances, but it is difficult for them to tell when developers are truly finished with them. 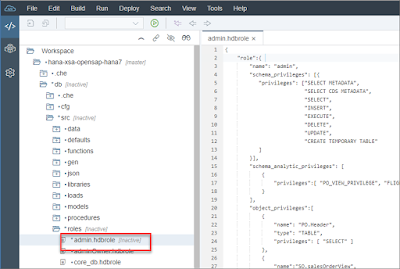 Now developers can directly see and take responsibility to clean up their service instance resources – especially before deleting a project or branch from the Web IDE. This feature also helps with troubleshooting errors during service provisioning or binding.